This poster announces a fair to be held at an unknown location. Highlights include $5,000 in premiums, racing, an industrial show, and reduced railroad rates. 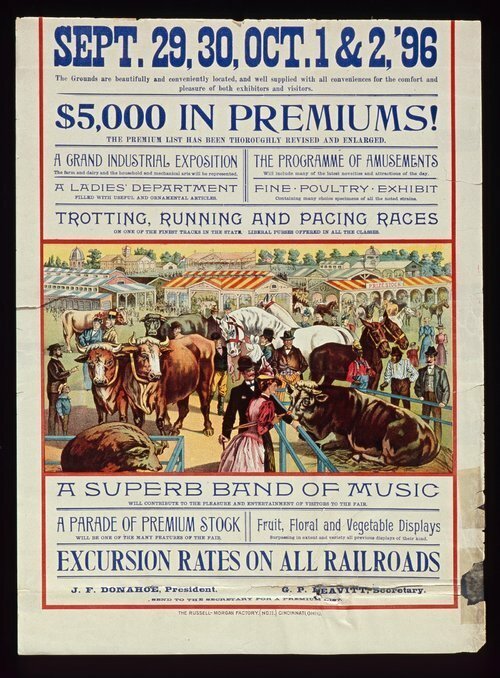 The poster includes a color illustration of a fair scene with livestock and buildings.